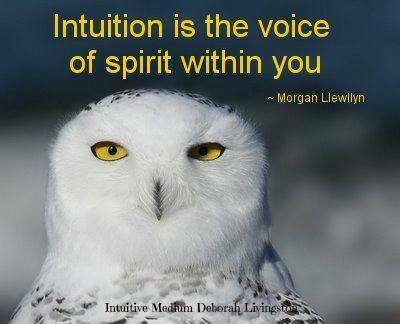 Your intuition is that little voice inside of you that often has a lot to say! The trouble is more often than not, we aren’t listening. Why don’t we trust our inner voice? Why do we ignore that funny feeling, only to regret later that we did? There are two very good reasons why! Our Ego is one, and the matter of trust is the second. Our Ego is that loud influence inside of our head. The obnoxious scream that never lets up. If we don’t pay attention, it just gets louder and louder. The Ego is never happy. It has been known to spend the whole day wrapped up in everything negative. No wonder we often feel melancholy and tired, the Ego robs us of our energy. Not very often does it have anything nice to say to us. Most of us are so used to it’s behaviour we don’t even realize that it is happening. Just go and stand in front of a mirror, take a good look at yourself and you will see what I mean! Ego starts to chatter, then recognize this opportunity and tell your mind to ‘damn well shut up’. This is called ‘changing your mind’. Gaining control of what you are thinking will allow you to connect to your Spirit, your intuition. Once you recognize the difference between your Ego thoughts and what your Soul is speaking to you, your life will change in such a positive way. You will allow yourself to get out of that mud you’ve been stuck in, the mind glue that has kept you in all of your fears. Your Spirit however, is the place deep inside of you that will release you from those fears so you can be free. Once this freedom occurs then the matter of trust comes in to play. Trust isn’t something we are all too familiar with, I believe it has actually fallen out of the English Dictionary altogether. I often say, write a list of who you really trust and then scratch half of those people off checklist. If you are left with two or three, perhaps only one person, then you are very blessed. The big deal is, is to trust yourself. Your Soul and trust work together, they are one of the same. Begin today, start something new, practise confronting your Ego. Shout louder than it does if you have too, raise your voice and roar, show em who’s boss! Then go inward. Pay attention to the core of your belly, what are you feeling, what is telling you? The key is to stop and listen. This is the instrument that you can rely on, the whispers that you can trust without a shadow of a doubt. I’m sending you the courage to connect to your intuition today, try something new.